In 2015, former high school history and math teacher, Brian Schaffran, finally took the leap and left a career as a teacher, both at Cleveland School of the Arts and Saint Martin de Porres High School, to open his dream business, a DIY Community Motorcycle Garage. 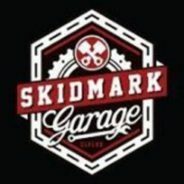 More than three years later, Skidmark Garage is a staple not only in Cleveland but acts as a leader in this world-wide movement of do-it-yourself garages. With the support of Skidmark members, Brian and business partner Molly Vaughan are finally ready to dive back into education. This time however, the classroom is going to look a little different. In November, they gained non-profit status and started the launch of Skidmark CLE and their Mobile Shop Class Trailer. The Skidmark CLE Shop Class Trailer will wake up brains as students pick up tools. Skidmark CLE plans to bring shop class back to junior high and high school students and teach them how to disassemble and then rebuild a motorcycle within our mobile classroom. The trailer pulls up to students’ homeschools and introduces basic hand-tool skills through motorcycle building and engine maintenance. Students will learn leadership and stick-to-itiveness though hands-on problem solving in a non-traditional setting that exists as a partner to traditional classroom learning. Organizational Architecture is proud to help Skidmark CLE bring these skills to students in Northeast Ohio and beyond and will be involved with helping Brian and Molly bring this program to students in 2019. Want to learn more? Contact Brian or Molly by email or call 440.591.4822…or better yet, stop by the garage at 5401 Hamilton Avenue, Cleveland, Ohio 44114. You can find them on Facebook, Twitter, and Instagram too!